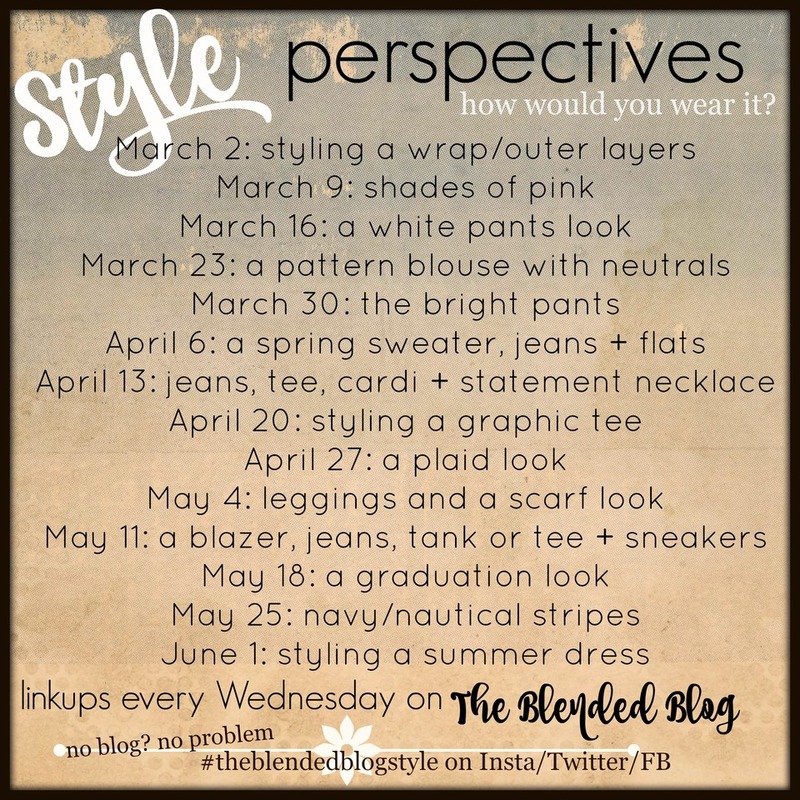 It's Wednesday and time for another round of Style Perspectives with my friends from The Blended Blog. 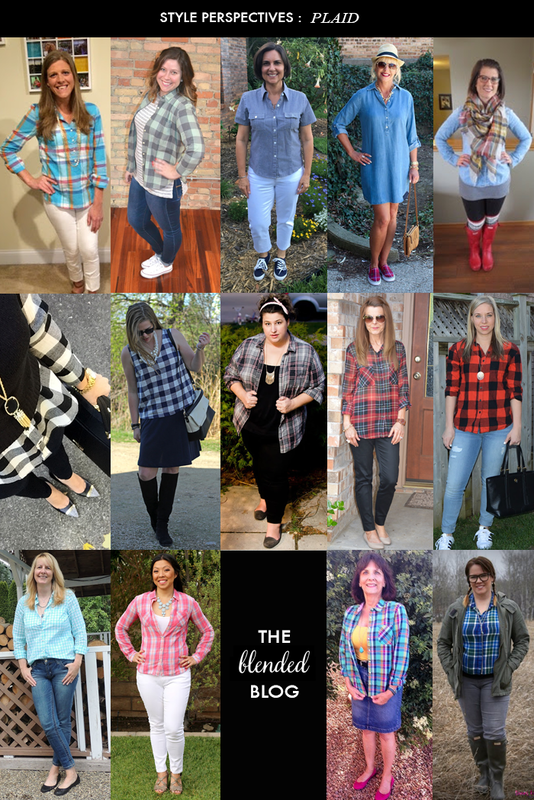 I loved all the spring plaid looks from last week. Thanks to everyone who linked up with us and joined in the fun! Up this week are leggings and a scarf, courtesy of the lovely Katie. Since I'm tall, and dresses can be too short on me, I'll often wear them with a pair of leggings this time of year. Which was my original plan for this style perspective. And then I had to go to Macy's to pick up some shorts for my husband, and I accidentally saw this cold shoulder top. It was calling my name. I'd been looking for one that could be worn with a regular bra, and the stripes sealed the deal. Yep, I broke my shopping ban for you, Katie! Actually, that's a lie. The floral flats are also new, and I bought them first. Another item I'd been searching for to brighten up my spring wardrobe. The shirt is longer in the back, so it covers all the important areas. I can't wait to actually wear it when the weather gets warmer. Be sure to head to The Blended Blog to see Katie's leggings look, and find out who had the top clicked links from last week. It was a busy work from home week, so I was loving the graphic tees, apparently. And because I like to keep it real here on the blog, I'm throwing in a picture of the day I never changed out of my workout clothes. Oops. 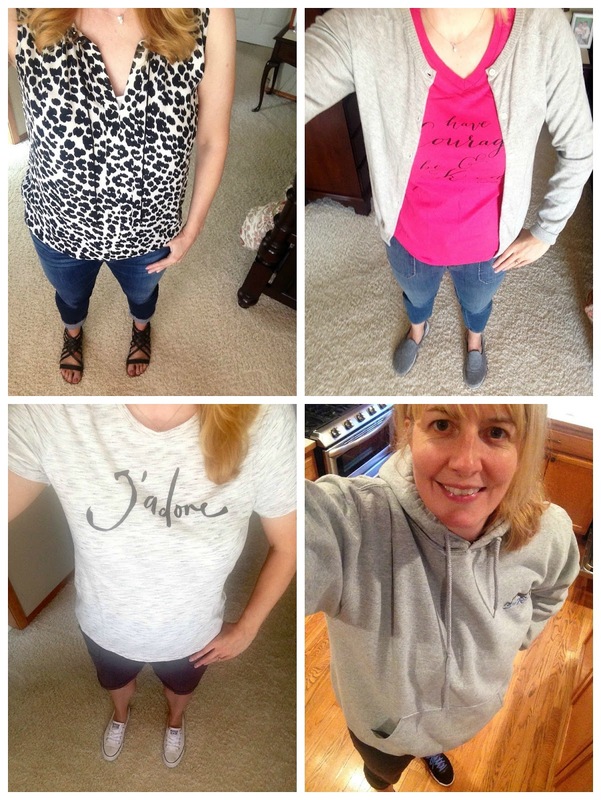 Be sure to check out everyone's leggings style today, and come back next week for a blazer, tshirt, jeans & sneakers. 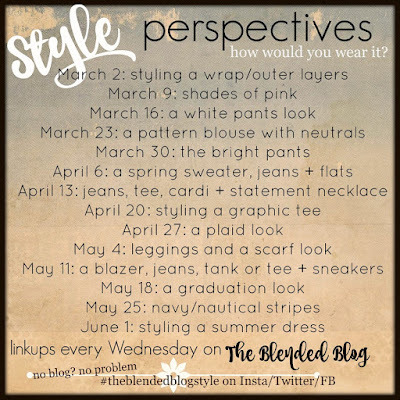 I hope you'll link up below, or join along on Insta/Facebook/Twitter using #theblendedblogstyle. We'd love to see your looks! ooooh I love this look so much, the floral shoes, the cold shoulder top, the color of the scarf...so precious Lana! You look like a million bucks..a trillion even!!! Thanks Andrea. You're always so sweet to me! Love the flora flats and your cold shoulder top is adorable! 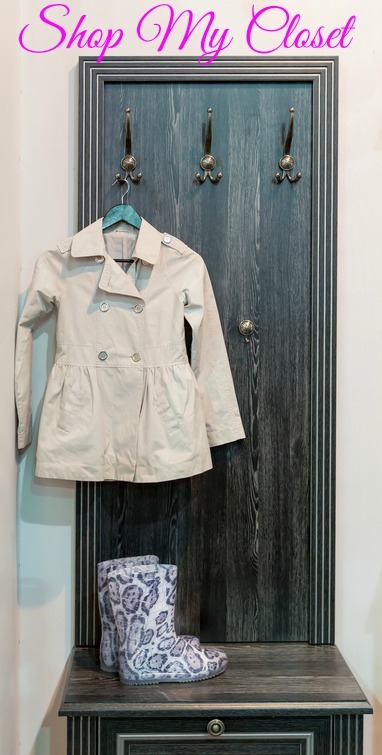 You did such a great job with the shopping ban, these are well deserved and perfect pieces to add to your wardrobe! It was hard to break the ban, but I think it was time! I love love love that shirt. That new trend is my favourite. I also adore your shoes:) So spring! Thanks Nicole. I love the shoes! 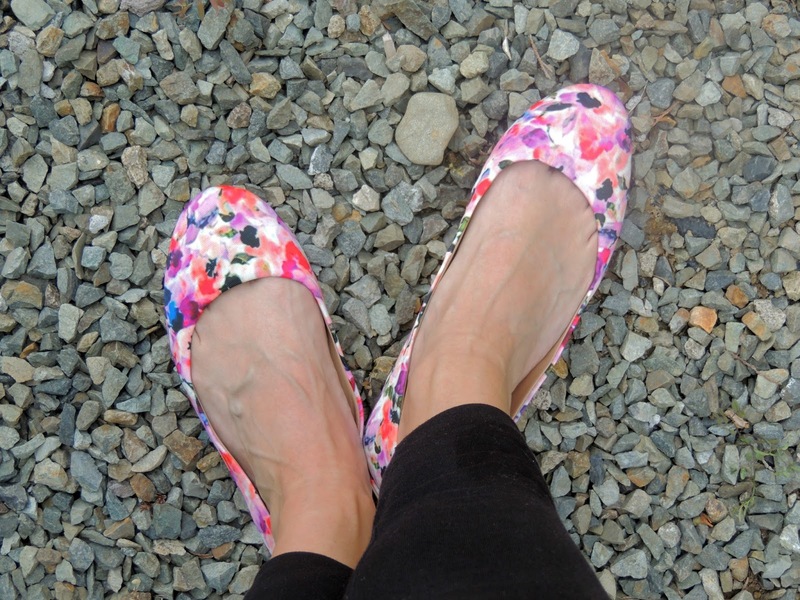 Ooh, floral flats! They're so gorgeous. I wish we weren't still in winter weather here. It's making me so sad. The shirt is fantastic on you. Thanks Tamara. I hope your weather situation improves soon. We've had unseasonably warm and sunny weather - I hope summer isn't terrible! This is my all time favourite look of yours....the flats, the shirt, the you, the everything....beautiful, friend!!! I couldn't find it on line. Let me know if you want the brand name - I can't remember! look at you on trend with the cold shoulder shirt AND floral flats!! Killed it this week!!! Oh my goodness, we're twinkies! I have that same fucshia graphic tee and I love it! Wore it this weekend with some floral shorts! You look great! That tshirt would be so cute with floral shorts. It's one of my favorites! Grinned over your comment that dresses are sometimes too short. I have the opposite problem. Everything has to be shortened - I'm loving those floral flats. SO cute. Thanks Kelly. The good news is you can shorten your clothes - I'm just stuck with too short :)! The cold shoulder striped top and floral shoes look great together. LOVE! Major kudos to you for keeping up with your shopping ban for so very long! I'm impressed! I adore the floral flats. They're my new favorite. I'm back on the ban - for now! You are too kind! Yep, I gave in and went shopping. It was too fun! Great cold shoulder top! (I have one on my "list," too!). And I love the floral flats (and just convinced myself that they have to be added to the "list" as well...). 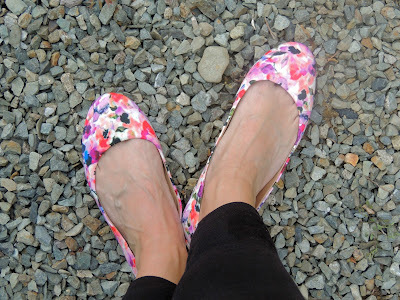 The floral flats are so hard to find - I looked everywhere for a pair I liked. DSW finally came through! You are rocking this trendy cold shoulder look! I've been on the hunt for a cold shoulder top myself. I couldn't help but smile because I am also wearing floral shoes and a J'adore graphic tee in my latest post, so it was cool to see you feature similar items this week. Thanks Jennie! I tried on so many cold shoulder tops before I settled on this one. Good purchases friend! That is a perfect cold shoulder top and those flats are ADORABLE! Yes, I want them! Thanks Carrie! I finally found them at DSW. You nailed those purchases so well. I love the floral flats, so easy to make any outfit pop with them. I love my cold shoulder stripped top and it's a staple in my closet all year long. I also really like you black, strappy sandals. Thanks! I love those sandals - so comfy! Those flats are adorable! I love the idea of a cold shoulder top because i like being able to wear a regular bra with things too. Now I just need to find the right one! It was hard to find one that would work, but I'm really happy with this one! I don't buy anything anymore unless I can wear a normal bra! Haha. Love the stripes on this top! Me too. I can't handle strapless bras anymore! This is the spring look!! Love it!! My fave!! A cold shoulder top is on my wish list!! You would look so adorable in this whole outfit Katie! Thanks for the inspiration! Great outfit, I love those floral flats and the top is also so cute! Yay! Shopping ban broken. I'm still crazy impressed that you lasted so long, especially in Vegas! I honestly couldn't find anything in Vegas that I had to have!